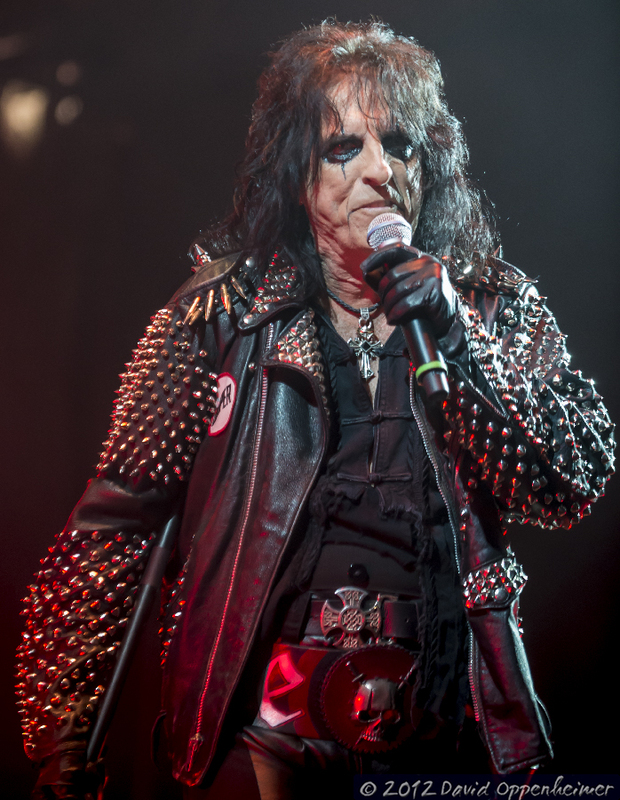 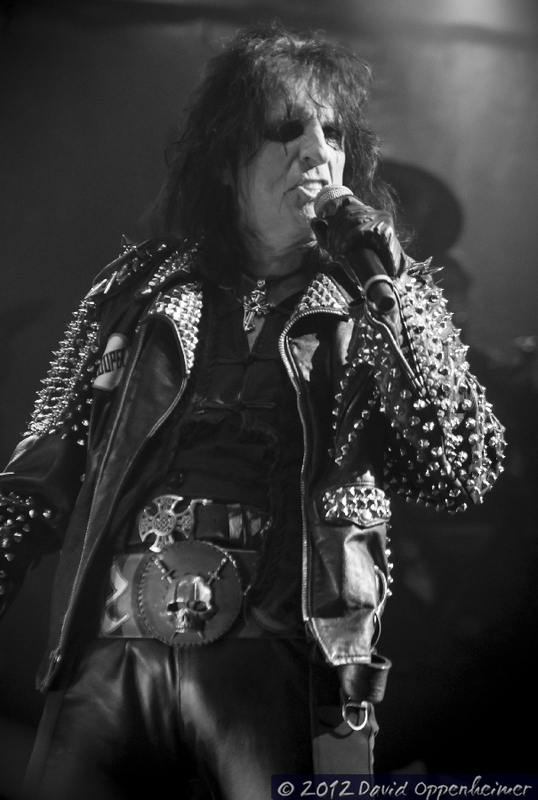 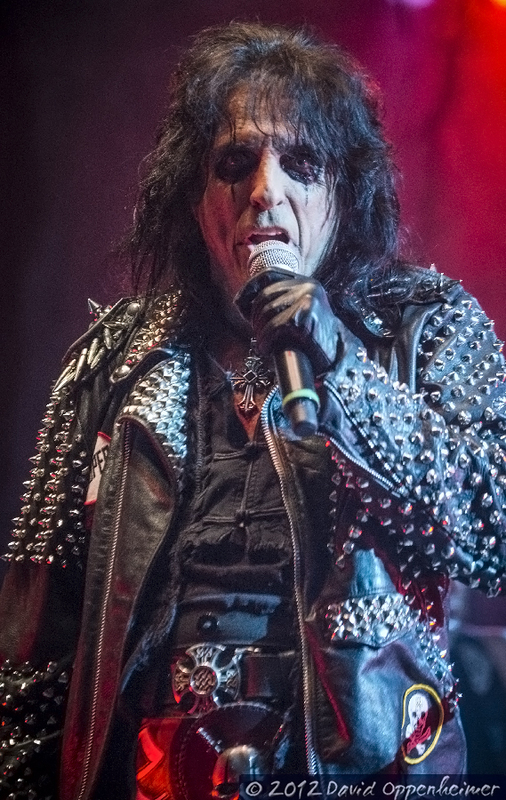 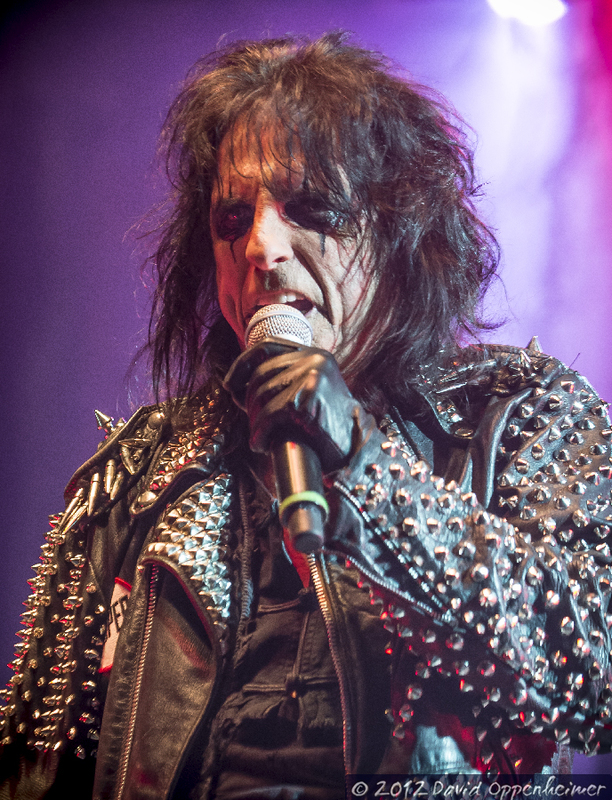 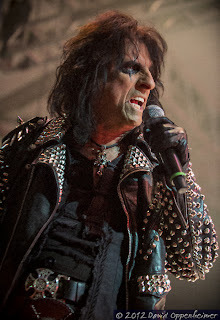 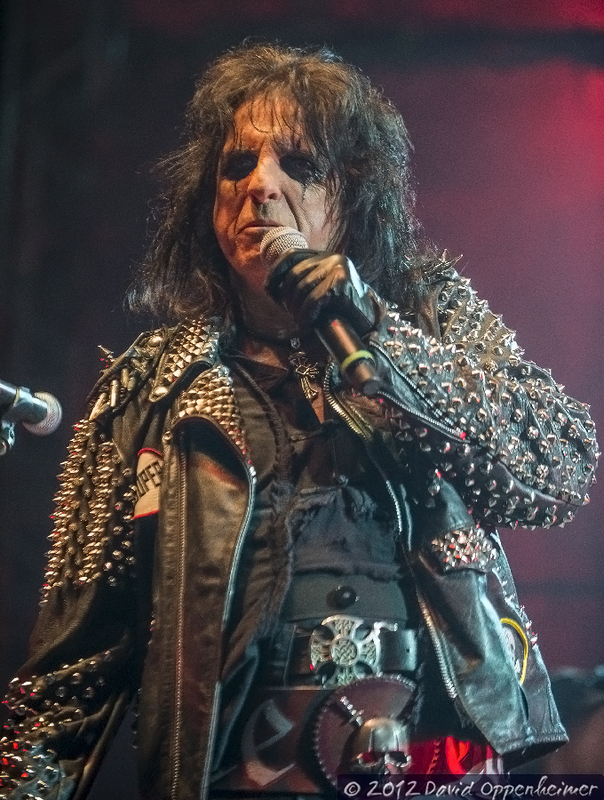 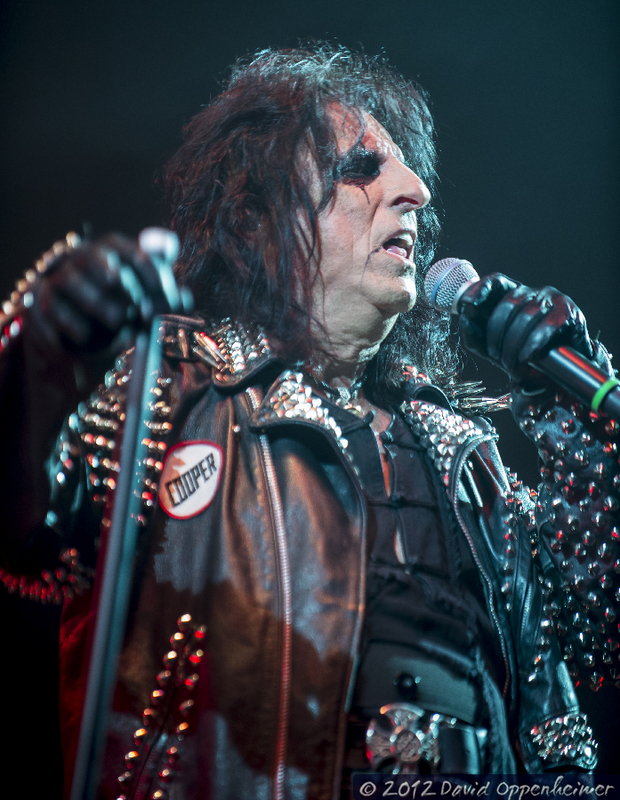 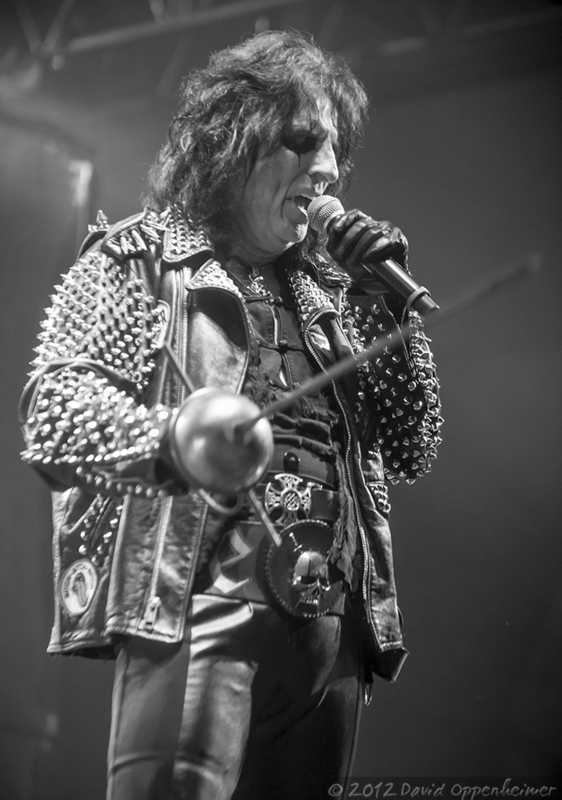 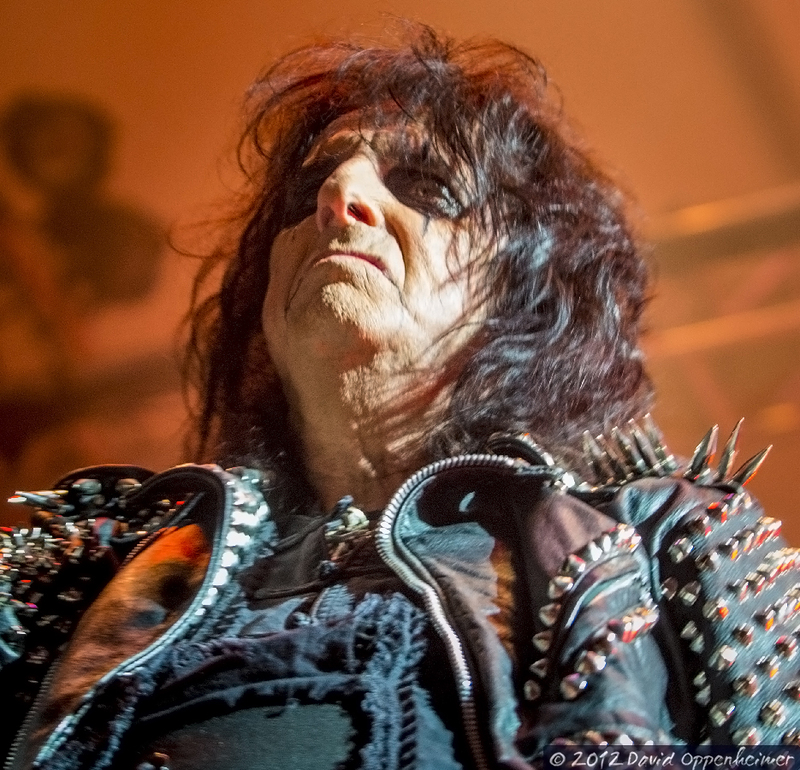 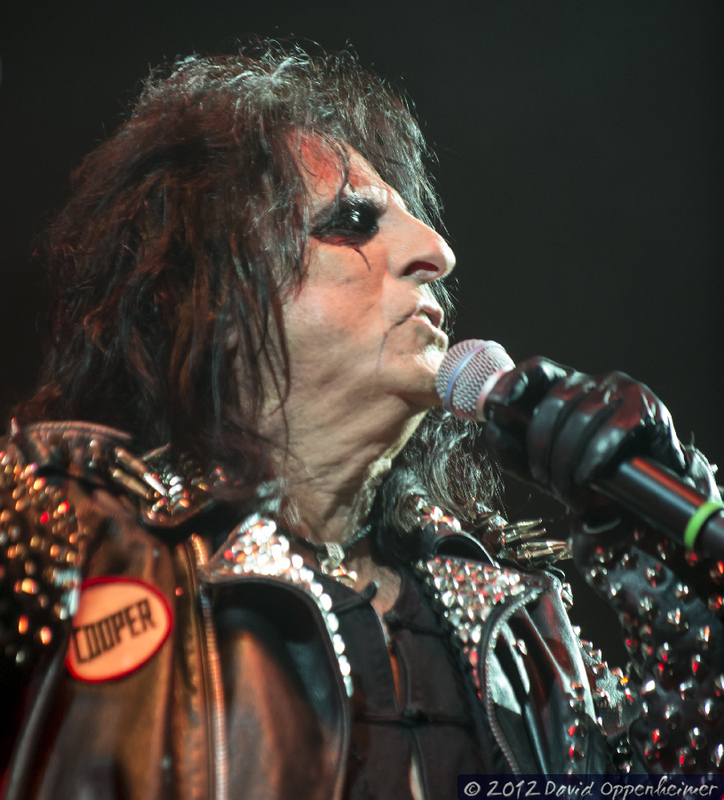 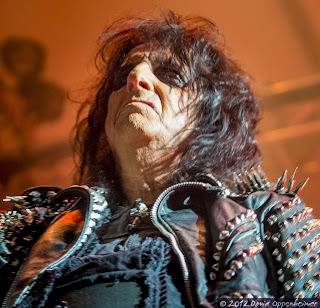 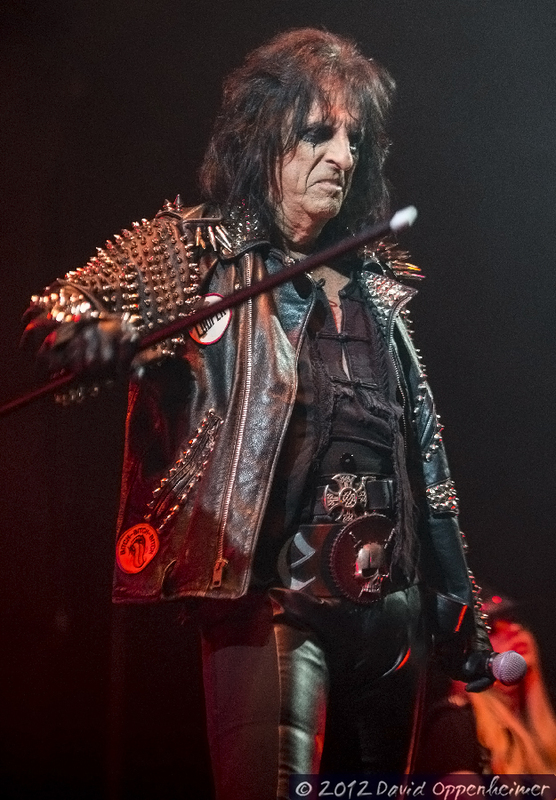 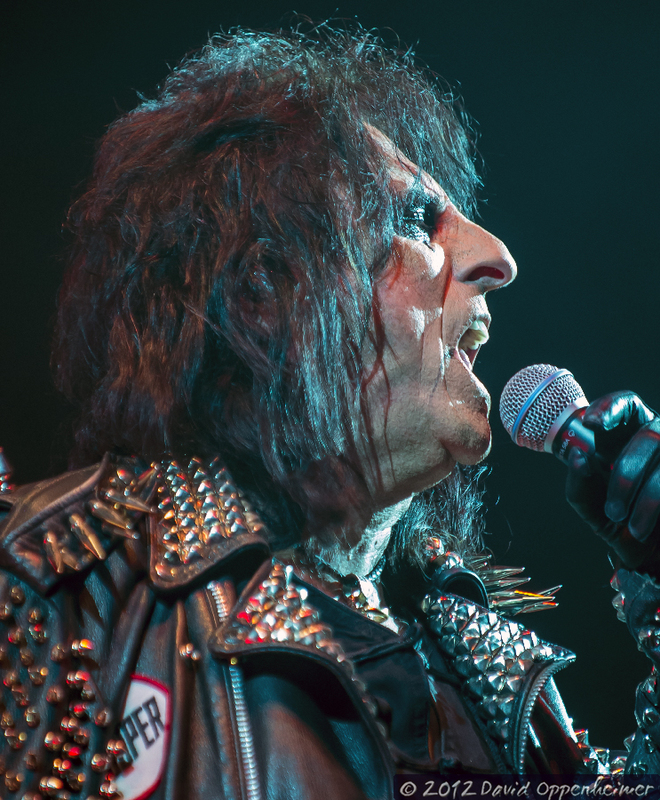 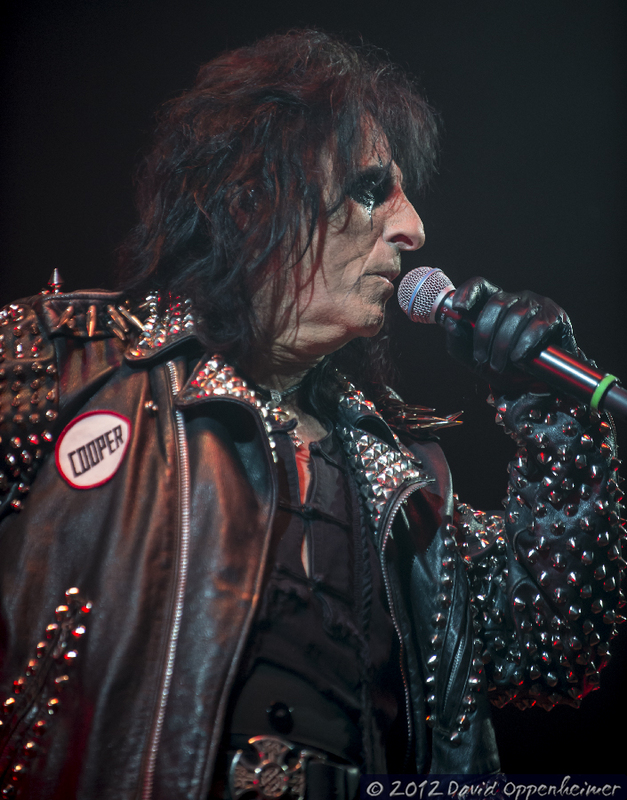 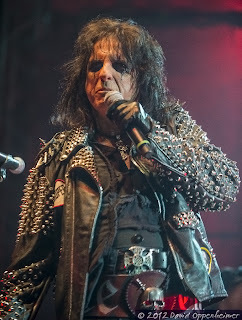 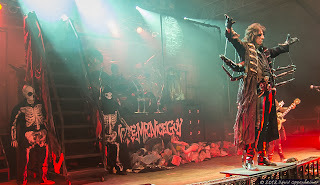 On Saturday June 9th, 2012 in “That Tent” at Bonnaroo Music Festival saw a performance by none other than 70’s and 80’s metal icon Alice Cooper. This show was yet another contribution to Bonnaroo’s recent theme of hosting nostalgic rock performances from the past thirty years. The crowd was a testament to this, consisting mostly of the older portion of the Bonnaroo attendees. Despite this being his sixth decade being a musical performer, Cooper and his band gave a high energy performance that was surprisingly entertaining. 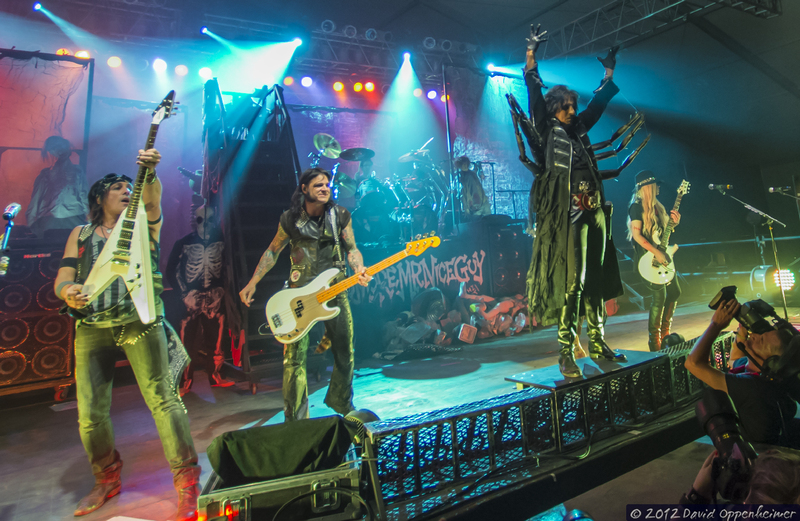 The foggy backdrop on the stage matched the costumes that Cooper and his cronies were wearing; they looked as if they came straight out of an 80’s hair-band music video from a cheesy horror movie. everyone knows such as “Poison” and “I’m Eighteen”, and he closed out the main segment of his performance with the classic “Schools Out.” Accompanying Cooper on stage was Greek guitar goddess Orianthi, who still looked amazing despite having fake blood painted on her face and arms. 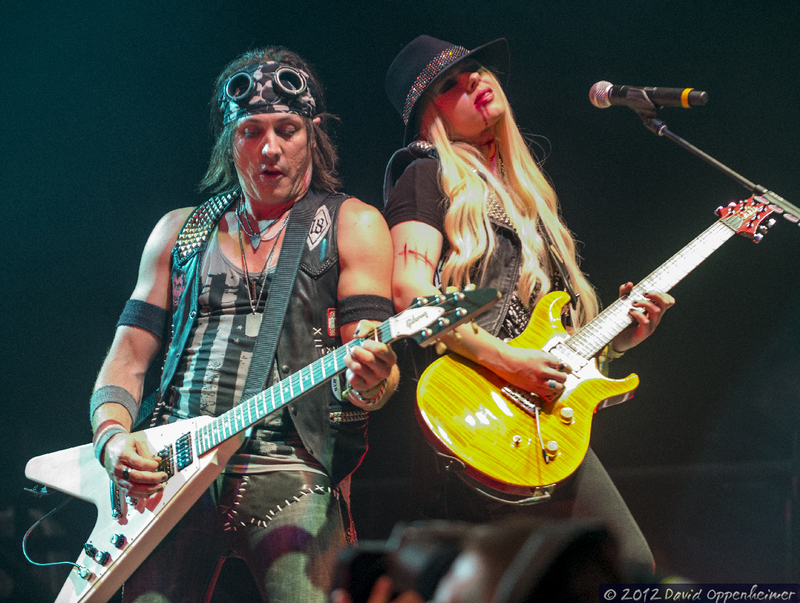 Her shredding guitar riffs could give Slash a run for his money.